The kids and staff have put together a great show for this weekend. 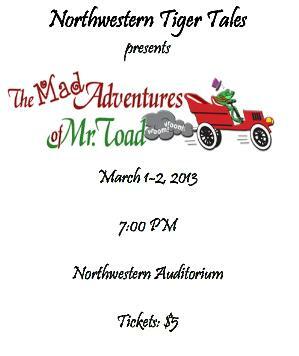 I can’t wait to see “The Mad Adventures of Mr. Toad”. Kimberly is an assistant director and Dylan is Badger!